Lexis Affinity clients gain access to a dedicated team of solution and technical experts through Helpline Support. 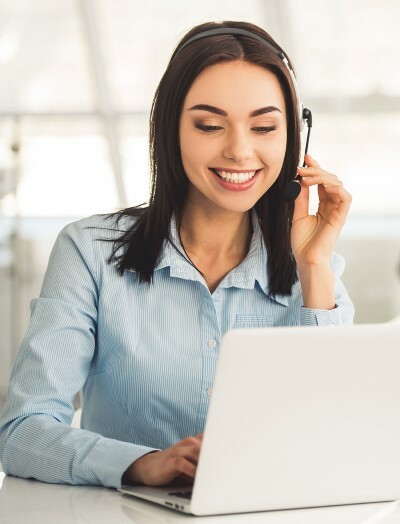 The use of remote support tools is included at no extra cost, taking the frustration and expense from providing support quickly and effectively. "What happens if I have a problem?" Affinity sits at the heart of your business IT systems and interacts with Windows, Microsoft Office and other systems in your network. The smooth running of Affinity can be affected by these systems, or other applications installed on your workstations. Affinity itself is extremely flexible in the way it operates, enabling you to tailor many of its functions and processes to suit the unique character and requirements of your business. Whether you need assistance tracking down an incorrect journal posting, advice on how to update a precedent, or want to suggest an enhancement to the software, our team of Support Analysts are your first port of call - and they are just a phone call away. "What if something happens outside normal working hours?" Our Support Team man the phones from 8am - 8pm Monday to Friday. If you need to raise a support case outside of normal working hours, you can log issues through the Lexis Care online service centre. Lexis Care not only provides a simple gateway for logging cases and issues, it also houses a wide collection of articles and solutions, covering all areas of Affinity, its add-on's and integrations, and other LexisNexis products and services. "How are other firms use Affinity?" All Lexis Affinity clients are invited to join our complimentary online user group on LinkedIn. The group share ideas, experiences and solutions about Practice Management, day-to-day operational issues and about solving problems with Lexis Affinity. We regularly meet with user groups in various States across Australia, to share updates on Affinity and to hear their suggests, ideas and concerns first-hand. The instructions for solving my problem were delivered clearly and with precise instructions to follow. Friendly and professional service from the IT man. Sent one email and Lexis sorted out a time to remote in and fixed the problem all within a few hours. I was very pleased with the way my issue was resolved with a very clear email explaining how I could achieve the result I required.